Unfortunately, the hype around going ‘green’ has blurred the lines of the real issue at hand: excessive consumption of rapidly declining resources. 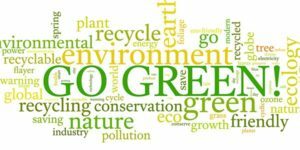 The above-mentioned scenario may leave one feeling slightly dreary about where to start a ‘greening’ initiative – because despite all the confusion surrounding the issue, the need to adapt to more sustainable and viable consumption practices remains vital for any organisation. When implemented correctly, IT’s propensity to contribute significantly to energy-savings is perhaps one of the most straightforward ways an organisation can decrease its environmental impact. Because IT equipment is generally updated every three or four years, it creates an ideal opportunity for the introduction of newer, more efficient technologies – and cost saving can be considerable, up to 50 percent in some cases. The IT industry is by no means exempt from greenwashing tactics and companies can be blindsided by thinking they are purchasing a ‘green’ product when in fact the product adds to the impact on our environment at the end of its lifecycle. Take notebooks with extended batteries and hard drives that require less energy. As notebooks take over the sale of PCs and companies increasing adopt this mobile enabler whilst patting themselves on the back that they are contributing positively to the environment through the support of these product, the question of how these notebooks are disposed of should be raised and more pertinently, how do they impact the environment at this point? But sometimes common sense should prevail. While manufacturers’ efforts to deliver ‘green’ products must be commended; organisations need to think holistically about ‘going green’ and should consider the entire lifecycle of the products or technologies they intend to use before making an investment. The corporate world’s role in reducing the carbon footprint is enormous, and thus it is essential that it does not fall prey to greenwashing tactics, but rather that organisations take it upon themselves to look deeper than ‘product labels’, and more thoroughly scrutinise the claims made. ESET Endpoint Antivirus protects computer users from all types of malware, including viruses, spyware, rootkits and phishing. Built for speed and low system demands, the solution is based on our record-holding scanning engine, the winner of the most Virus Bulletin “VB100” awards of all antivirus makers. In the SMB and corporate environment, the solution can be easily managed by ESET Remote Administration that gives network administrators strong tools designed to provide central visibility and real-time insights in the network security. Supporting your organization’s global strategy can be a real struggle. More than any features, you need tools that empower people to embrace change. We live in a globalized world. What used to be our point of focus, a specific local market, is now a vibrant global village with no frontiers and no limits. This new setup has generated new trends, new opportunities and a lot of new, pressing needs. Organizations tend to expand their operations, either physically or virtually, all across the globe; and need their infrastructure to be able to support their plans. 2 years in a row, the Pepwave Surf has been awarded Top Product by 3Gstore.com. 5-star performance coupled with proven reliability, you can be sure the Surf will stand up to the challenge when others fail. Get Heavy-Duty Networking. While Traveling Light. Unlimited Wi-Fi connections. Multiple profiles. Extended-range radio performance. All from a single device that fits in the palm of your hand. The Pepwave Surf On-The-Go packs incredible networking power into a space-saving package that goes wherever you go. Introducing the Swiss Army Knife of Mobile Web Access. Featuring an array of advanced connectivity options, the Pepwave Surf On-The-Go is one powerful little solution for multi-device, multi-user, on-the-road wireless connectivity. Use it as a Wi-Fi repeater to expand coverage over a wider area. Connect your 4G/3G modem and use the Surf On-The-Go as a travel router. Make wired devices, such as printers, play nice with wireless networks. And share a single paid Wi-Fi connection among your laptop, tablet, and smartphone. With the Surf On-The-Go, you get all the mobile connectivity tools you need in one easy-to-carry, simple-to-use device. Why Look for a Hotspot when You Can Bring Your Own? Whether you’re in the center of everything or the middle of nowhere, hotspots never seem to be available when you need them. But with a 4G/3G modem and the Pepwave Surf On-The-Go, you can create your own hotspot wherever you are, even in a moving vehicle. The Surf On-The-Go lets you wirelessly share your mobile high-speed connection, too, so be prepared: when other wired or wireless connections fail, you might just become everyone’s new best friend. Forget about Profiles and Settings. Surf On-The-Go Remembers. SSIDs. Passwords. Profiles. They’re tough to remember and inconvenient to set up, especially when you’re traveling with multiple devices and visiting multiple locations. Whether you travel once in a while or frequently, the Surf-on-the-Go keeps all your login details in mind, freeing you to concentrate on what’s important. You can even set up favorite locations and switch between them in a flash, putting you online and in business more quickly and easily than ever. The Internet. Now Available in Pocket-Size. Small enough to comfortably slip into a jacket pocket, the Pepwave Surf On-The-Go packs a lot of performance into its 3.7-inch x 3.6-inch (9.4 cm x 9 cm) frame. From a specially designed antenna that puts even distant Wi-Fi networks within reach to connectivity for an unlimited number of wireless devices, everything about the Surf On-The-Go says “big.” Except the size. Did we mention that the Surf On-The-Go is small? Monitor and control all your Balance and MAX routers* from any iOS or Android device with the new Router Utility app. Ready when you are, wherever you are, the Router Utility app gives you instant insight into device status, events, bandwidth usage, and more. With full support for push notifications, you’ll know immediately whenever there’s an important status change or performance issue, helping you to keep small glitches from becoming major problems. Keep Traffic Moving with Anywhere, Anytime Green Light Checks. Check the status of all your Balance and MAX routers with the Router Utility’s dashboard and traffic light indicators. With just a quick glance, you get the peace of mind of knowing that your network’s healthy. And if there is a problem, it’s easy to drill down and inspect SpeedFusion VPN parameters, bandwidth and statistics, CPU load, and more from any iOS or Android device. Monitor and Control from the Palm of Your Hand. Check Device Status. Monitor WAN Status, External IP Addresses, and SpeedFusion VPN Links. Inspect Event Logs. Keep an eye on router event logs using any iOS or Android device. View Bandwidth Statistics. Get up-to-the minute insight on bandwidth usage and throughput across your WAN. Maximum Mobile Control at Your Fingertips. 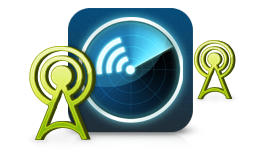 Our Router Utility gives you new ways to monitor and control your MAX mobile router anywhere you can use your device. See How You’re Connected. Just check the Router Utility’s dashboard on your device to instantly see which SIM and cellular provider your MAX mobile router is using. Adjust Connection Priorities on the Fly. Simply tap and swipe to connect your MAX to a Wi-Fi hotspot or change 4G LTE/3G connection priorities. Automatic Cellular WAN Status and SpeedFusion Alerts. Keep tabs on cellular WAN and SpeedFusion status with push notifications on your iOS or Android device. 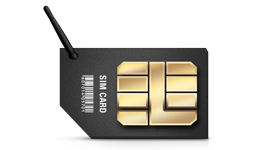 This app requires connectivity to a Peplink Balance / Pepwave MAX router (running Firmware 5.4.0 or later) and will not work without it. Push notifications require Firmware 5.4.7 or later. iOS version: compatible with iPhone 3GS, iPhone 4, iPhone 4S, iPhone 5, iPod touch (3rd generation), iPod touch (4th generation), iPod touch (5th generation) and iPad. Requires iOS 5.1 or later. This app is optimized for iPhone 5. Whether St. John’s Ambulance Service in Australia is en route, on scene, or back at headquarters, 100% uptime and seamless failover is critical to delivering superior patient care. So too is the ability to quickly transfer medical records and communicate via video conference without lag and drop-outs. To meet its mission, St. John’s uses the Pepwave MAX 700 Mobile Router and multiple cellular links for high internet speed, unmatched durability and 100% uptime, with significant savings. Whatever the mission, the MAX 700 delivers the speed, reliability, and durability your customers need to make it happen. 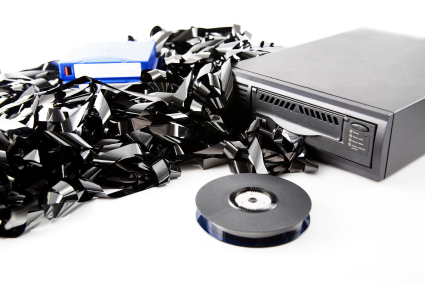 As the business world becomes increasingly digitised and more and more critical business information is stored on computers, a backup and recovery strategy is a critical element of business continuity and sustainability. This is not only important in large enterprises, but is critical for the Small to Medium Enterprise (SME) market as well. While backup tends to be a low priority for this market, without it the consequences in the event of a disaster or data loss can be crippling. This is particularly relevant when considering that much of an SME’s data resides on PCs and portable devices such as notebooks, tablets and smartphones. While implementing a backup and recovery strategy may seem like a daunting task, evolving technology offers easy to use and cost effective backup solutions that automate this process. This means there is no longer any excuse for not having the right backup solution in place. According to Boston Computing, 60% of companies that lose their data will shut down within 6 months of a disaster. The Strategic Research Institute claims that 93% of companies that lost their data centre for 10 days or more due to a disaster filed for bankruptcy within one year of the disaster. This means that companies that are not able to recover their data and resume operations within a short period of time are unlikely to survive, making backup a critical component of business continuity and sustainability. While many SMEs are aware of the importance of backup, the main challenge that they face is the sheer variety of different solutions available, and a lack of understanding of which solution will fit their business best. Coupled with this is the challenge of a limited budget, which is something that large corporates do not necessarily need to content with. As a result, although smaller businesses are aware of the need for backup, there seems to be a lack of urgency around implementing a proper strategy and solution. However, when it comes to backup and recovery, the importance of having the right system in place only becomes clear when disaster strikes, and by then it is simply too late. There are various backup and recovery strategies available, which can suit the needs and the budget of the SME. One of the most common is to adopt a rotational backup approach, whereby servers, PCs and notebooks are backed up onto external drives, with one drive kept onsite and the other offsite in a rotational fashion. This approach has its merits, chiefly that it is very cost effective since external storage is inexpensive to purchase, and that data is always readily available onsite for quick recovery. However, it does not provide for backup of mobile devices when they are away from the external drive, such as on the road, and if these devices are lost or stolen there is a security implication as well as the risk that some data may be lost. The drives themselves are also at risk, especially the onsite backups, as if a fire, flood or other disaster destroys the office and all the machines, the onsite backup will also be destroyed. For this reason, multiple hard drives are needed and should never be kept in the same location. Increasingly, SMEs are turning to the cloud to provide effective, efficient and above all secure backup and recovery solutions. As bandwidth has become more plentiful and more affordable, online backup solutions have gained popularity and offer a number of benefits. The cloud offers an easy and convenient option for backup that is always available when there is an Internet connection, and this process can be automated to remove the risk of human error and forgetfulness. As files are changed on the system, they can be automatically backed up, to ensure that the latest data is always available in the event of a disaster. Cloud backup solutions can also be delivered for a monthly fee, allowing this to be integrated into operational expenses and reducing capital outlay. While the original upload of data may be fairly bandwidth intensive, this is a once off occurrence, and after a snapshot of the data is captured any further backups will be incremental. This reduces the amount of bandwidth needed on a day-to-day basis for backup. Solutions can also be configured for certain types of data, so that not everything is backed up in the cloud, only mission critical information and documents. All that is needed for cloud backup is a stable Internet connection such as ADSL, and the services of a reliable and reputable provider who understands the backup needs of the business and can provide a solution that is ‘fit for purpose’. The one downside of cloud backup, however, is that in the event that data needs to be recovered, it must be downloaded from the cloud storage, which can take some time depending on the size of files and can be bandwidth intensive. Combining a hardware-based backup system, such as an external hard drive, with cloud storage and backup, provides the best of both worlds to ensure that data is always safe, secure and available in the event of a disaster. If hard drives fail, data can quickly be recovered from onsite backup, but in the event of a complete system failure or disaster, SMEs can rest assured that their critical information is safely stored in the cloud and can be recovered in short order. The SME market is highly competitive in South Africa, and businesses rely on being agile and delivering effective services. Without their data however, they are unable to do this. If companies lose their critical information and are unable to recover it, their chances of survival are not high. Even if data can be recovered, time is of the essence as while they are scrambling to get back up and running they are losing revenue and potentially losing customers to their competition. Having the right backup solution in place is critical not only for large corporates, but for SMEs too. Ivy League school, Cornell University’s main campus is situated in Ithaca, New York and it has a medical campus in New York City. To assist staff and students who travel the 225 miles between campuses, Cornell offers an express bus service. While most of the commuters would prefer to get some work done during the more than four-hour trip; the route is quite rural and cellular connectivity can be spotty at times. To keep the users online and productive, Cornell officials knew they needed a solution that supports multiple carriers and offers seamless failover. After researching various options, they easily decided on the Pepwave Mobile MAX 700 multi-cellular router with SpeedFusion™ technology. Deployment: MAX 700 (bus) and a Balance 580 (main campus). 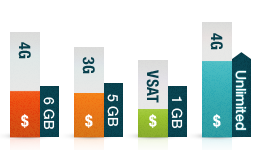 SpeedFusion bonds the bandwidth from multiple wireless providers with seamless failover. Provides a reliable, high-bandwidth mobile hotspot, even in rural areas. Eliminates dead zones and provides uninterrupted mobile Internet – anywhere. Top-level performance with ROI in only two months. The MAX 700 gets an A+ in Mobile Connectivity! Fast, dependable, and tough, the Mobile MAX 700 is a complete mobile connectivity solution that keeps everyone productive on the road, even when traveling through rural areas. The Pepwave MAX mobile router gives you the ultimate in mobile connectivity. With the ability to combine a variety of wireless services, the MAX gives you maximum reliability through automatic link failover and scalability with multi-WAN load balancing and SpeedFusion™ bandwidth bonding. The Pepwave MAX brings wireline reliability to environments where no other solution can. 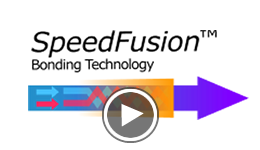 SpeedFusion bandwidth bonding automatically distributes traffic across wireless links, increasing connection stability and making maximum use of all available bandwidth. And you can scale your bandwidth as you go simply by adding extra 4G LTE, 3G, or other wireless connections at any time. The MAX automatically switches to lower priority connections when primary connections fail due to signal or coverage issues. Your connection stays fast, and you stay seamlessly connected and productive. Seamless Failover Don’t Let Stalled Connections Slow You Down. The MAX automatically switches to lower priority connections when primary connections fail due to signal or coverage issues. And thanks to persistent session roaming powered by SpeedFusion technology, failover between fixed and mobile links is completely seamless. With other technologies, failover terminates existing connections, creating costly downtime. With SpeedFusion persistent session roaming, you won’t miss a beat when your MAX switches between connections. Certified Industrial Durability Go Where Your Work Takes You. Without Worrying about Your Networking Equipment. Built to withstand temperatures from -40 to 65°C and featuring ESD/surge protection for all ports, the Pepwave MAX is designed for worry-free performance everywhere you roam. Add industrial-grade shock/vibration resistance (EN 61373:1999 IEC 61373:1999), a terminal block for reliable power sourcing, and a rugged 10V-32V DC power supply, and you’ve got a mobile router that can take anything the road can dish out. 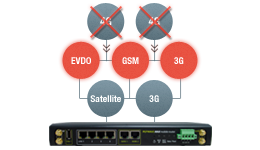 Embedded 4G LTE or World-Mode 3G Modems GSM HSPA and CDMA EVDO. Standard. Leave your external GSM and CDMA modems behind. The Pepwave MAX BR1 and HD2 features integrated 4G LTE or world-mode 3G modems for instant connectivity anywhere you go. Need more flexibility? The MAX 700 features USB interface supporting 100+ USB modems from carriers worldwide. And because the MAX is easy to configure and shock/vibration resistant, you can give your mechanic a break. 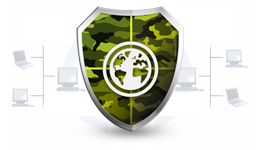 Military-Grade VPN Encryption 256-bit AES Encrypted VPN Bonding. High Security for the Open Road. The MAX is ideal for public safety and sensitive private communications. Our revolutionary SpeedFusion technology allows you to use all available Internet links to load balance and failover your traffic through 256-bit AES encrypted VPN tunnels. Since our SpeedFusion technology is designed from the ground up for multiple Internet connections, you can be assured of a secure connection wherever you are. Dual-Radio Wi-Fi Functionality Wi-Fi Connectivity Is a Two-Way Street. Featuring built-in 802.11n Wi-Fi, the Pepwave MAX let you connect to a Wi-Fi source as WAN, cutting costs and increasing bandwidth. Need to share access with your other Wi-Fi devices? The MAX also features a built-in Wi-Fi access point bringing wireline reliability to all your devices that no other solution can. Up to 7 Internet Connections 7 High-Speed Lanes. 0 Traffic Jams. 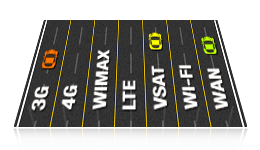 The Pepwave MAX combines as many as seven 4G LTE / 3G, VSAT, WiMAX, Wi-Fi WAN, and other mobile connections to deliver consistently high speeds and 100% uptime. Bond up to four USB modems and add broadband landline connections for blazing data transfer anywhere, anytime. Cap- and Cost-Aware Routing Keep Your Eyes on the Road. Not Your Odometer. 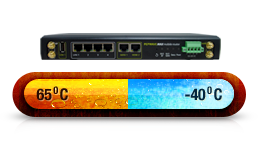 The Pepwave Max’s bandwidth usage monitor allows you to prioritize connections by cost and data allowance. The MAX automatically monitors data volume and switches connections to minimize your cost while maximizing your speed, so you can stop worrying about expensive data overages and just drive. Centralized Management Manage Your Entire Fleet from a Single Dashboard. Track your fleet, keep an eye on mobile resources, and update firmware and profiles from one interface, anywhere and anytime. The Pepwave MAX even features auto-provisioning to keep things running smoothly when you’ve got better things to do than manage your mobile network. 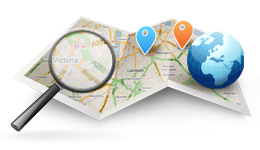 GPS Location Service Track Your Fleet from Across Town. Or Around the World. The Pepwave Max’s built-in GPS location service lets you keep tabs on fleet vehicles wherever they may be. Easy to interface with external GPS systems, MAX GPS fleet tracking maximizes resources and team coordination while improving safety and productivity.